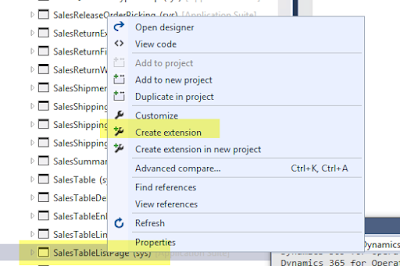 Dynamics AX technical community is finding cool and tricky ways to create extensions for customization's. In this post, let’s do a quick walk through on how we can customize a list page interaction class via extensions. To do this let's add a new button on sales order list page and enable/disable it on the basis of sales order status. 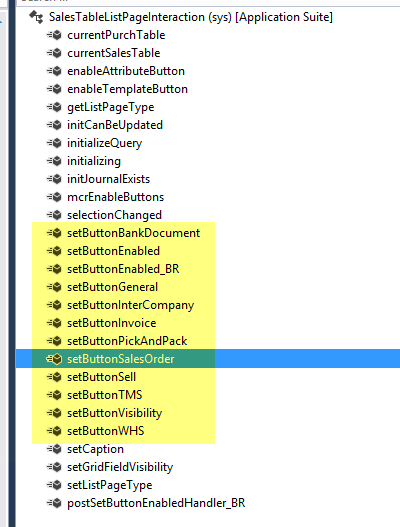 Create a new class to write the business logic to be executed by your new button. Let's create a new class: I have shown the total sales order amount in the Info-log, to show an example of business process in the method. Create an extension of SalesTableListPage from : To do this, right click on the SalesTableListPage object in the AOT and select "Create extension" . 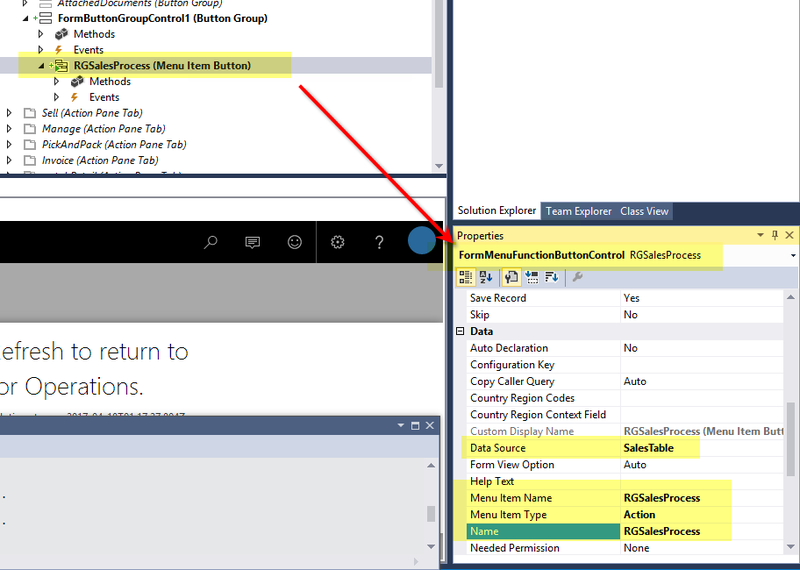 Make sure your model, where you are creating the project, has a reference to Application suite else this option will not be enabled. Now let's add more logic to our button to only be enabled for sales orders which are not invoiced. Typically we would go to the interaction class and modify the function which is enabling/disabling button, but we want to do this without customizing the standard class and with the use of extensions. 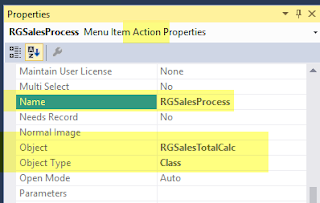 As we added the button in the sales order action pane group we can see that there is a method in this class which used to set buttons on the sales order action pane tab menu items . Notice that this is a protected method. You will be greeted with the below error message. We can only create event handlers for Hookable methods. The definition of Hookable method is also shown in the error message, these are non-abstract methods that are either public or tagged with the "Hookable" attribute as true. Let's find a hookable method in the interaction class: On a quick scan in the class you can see that the setButtonEnabled() method is a protected method and decorated with the "HookableAttribute" as true. The button is enabled for a sales order having a status other than Invoiced. Thanks for reading the blog. Your feedback is welcome and keep sharing any cool ideas around extensions and the new frameworks of D3FO. AX2012 : The function InventDim::dim2dimParm has been called with an unknown inventory dimension.